This post is actually for S. in NYC who wanted to know what new quilt I was working on. My cousin likes blue, but she'll be getting a much brighter quilt instead for Christmas. I hope she'll like it anyway. The pattern is Sweet Pea by Heather Mulder Peterson for her Sanibel line. The quilt top came together fairly quickly. 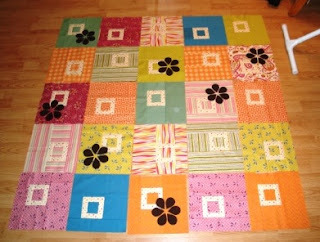 A marathon cutting and piecing session Saturday night got the basic blocks together. 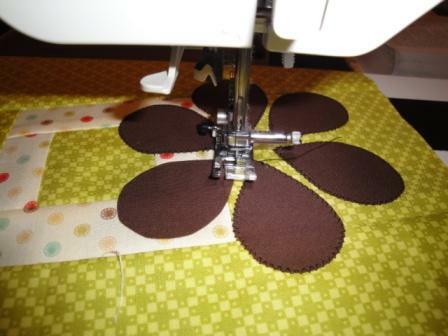 I've been sneaking in time in the mornings to machine applique the flowers.